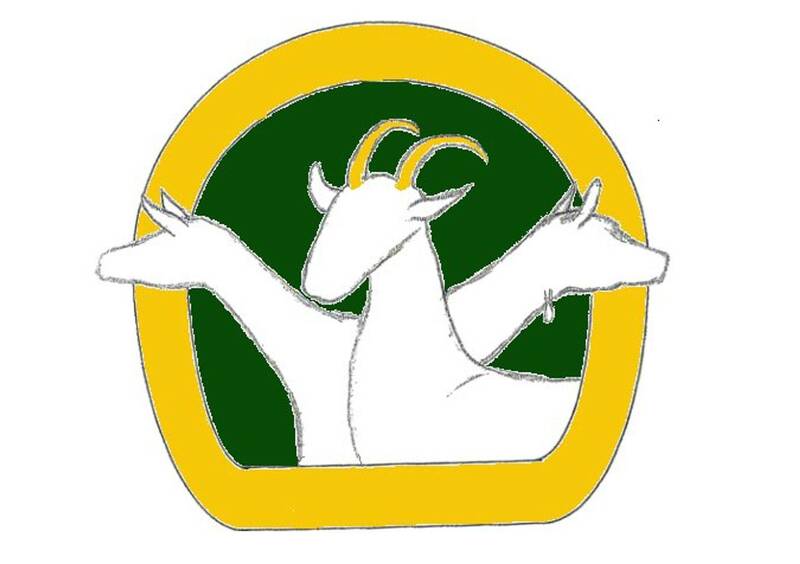 The champion does of Pony Trail Farm make up the heart of the farm. These does are consistent in style and elegance, and form an impressive dairy herd wherever they travel. Several of the does have recently achieved the Superior Genetics status. Trixie is one of those perfectly put together does, consistent with, but also improving on her dam Dixie. 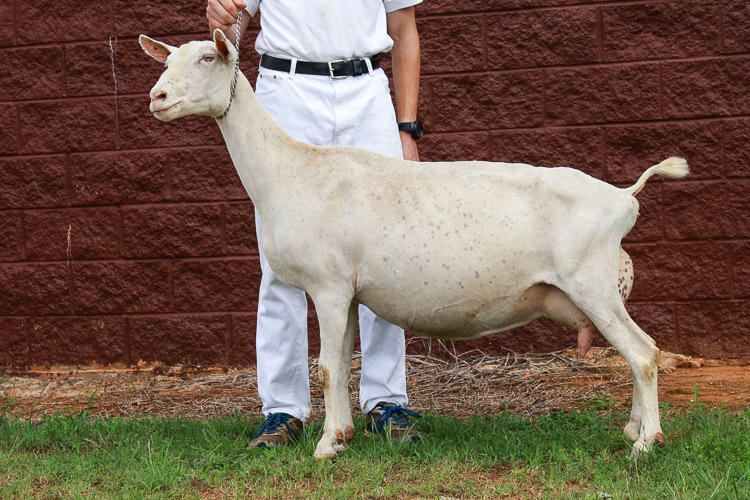 She is a beautiful well-balanced doe in all areas of the score card, finishing her championship as a 3-year old, the same year that she appraised 91EEEE. She will be bred to Violet Vale SM Sundance for Spring 2018 kids. Ariel is Trixie's closest competitor, and nearly perfect in her own right. She also finished her championship as a 3 year old, and Linear appraised at 91 EEEE. 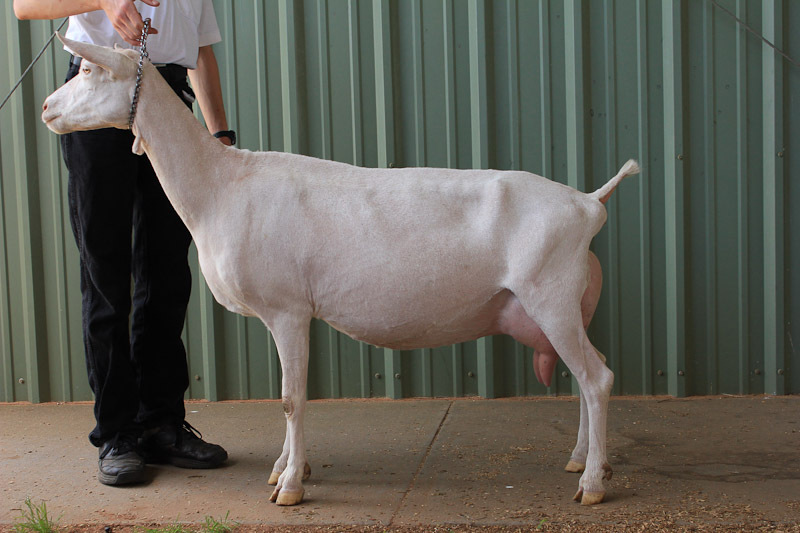 We have been excited to see the consistency and improvement on her dam Pixie. 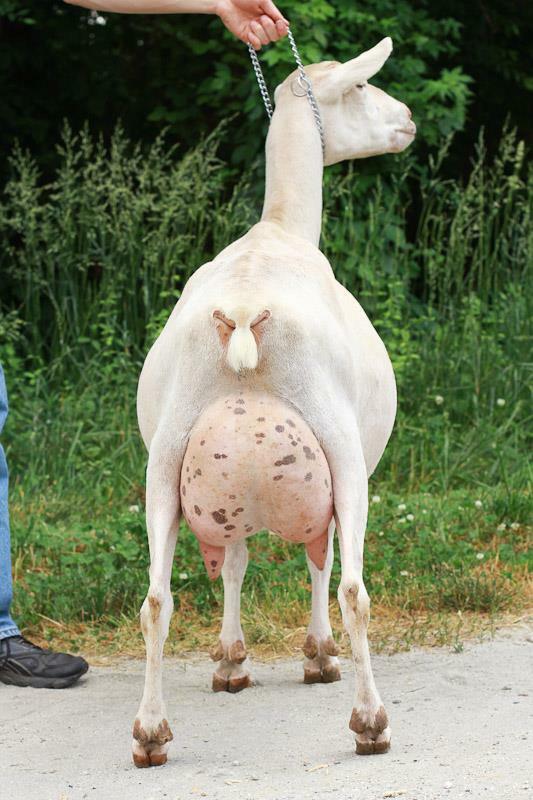 She is a strong doe and steady producer.